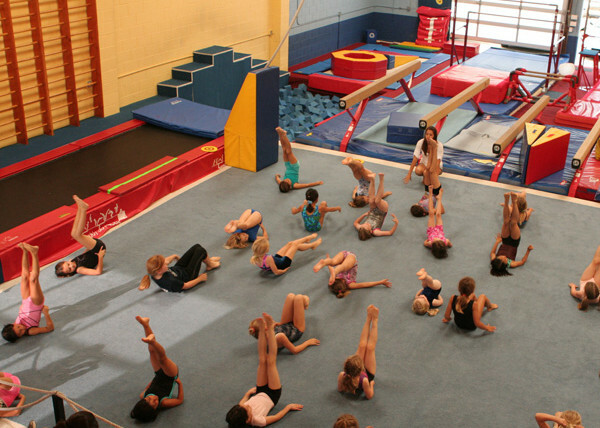 Gymnastics is a sport involving the performance of exercises requiring strength, flexibility, balance and control. Internationally, all events are governed by the Fédération Internationale de Gymnastique (FIG). Each country has its own national governing body (BIW) affiliated to FIG. Competitive artistic gymnastics is the best known of the gymnastic events. It typically involves the women’s events of vault, uneven bars, balance beam, and floor exercise. Men’s events are floor exercise, pommel horse, still rings, vault, parallel bars, and the high bar. Gymnastics evolved from exercises used by the ancient Greeks that included skills for mounting and dismounting a horse, and from circus performance skills.